Steve Jobs' recent passing finally motivated me to write an article I had envisaged for a long time: a comparison of Steve Jobs' hands with Bill Gates' hands. 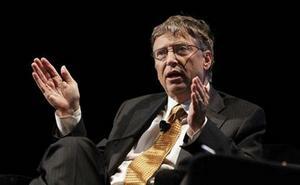 Steve Jobs is the co-founder of Apple, while Bill Gates is the co-founder of Microsoft. And both of them have had tremendously successful careers in what was then the new field of technology. 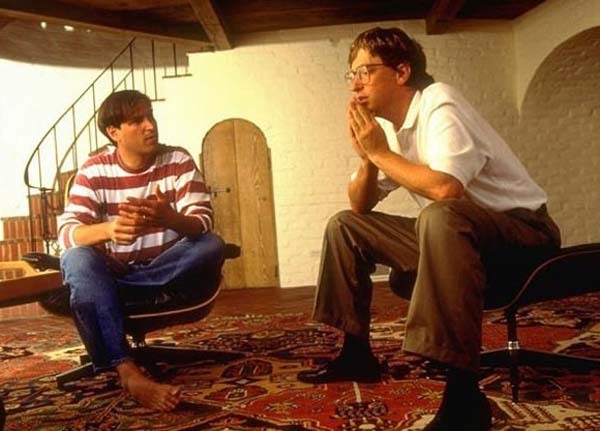 Both born in 1955, Steve Jobs and Bill Gates display a lot of common features in their hands, as well as some differences. Both have very long thumbs, which allows both of them to control their environment. Apple and Microsoft wouldn't exist without those thumbs! Also, both thumbs are relatively flexible, providing them with an ability to adapt to any situation. Their hands are of the Air type, meaning that they have long fingers as well as a broad palm. This type of hands belongs to ideas and thought people, with good analysis skills. They love studying, teaching, communicating and planning. Just like good Star Trekkers, they like to go where no one has gone before. The large width of the palm gives them tremendous energy to accomplish their goals. However, on the most recent photos of Steve Jobs' hands, the Mars negative area - the palm area between the thumb and the index finger - is indented, which is probably attributable to his disease, hence lack of vitality. Another difference is the fleshiness of the hands. Steve's are more bony, while Bill's are more fleshy. Bony hands are more focused on cerebral needs, while fleshy hands are more in touch with body needs. When people are sick, they have often overlooked they body needs. 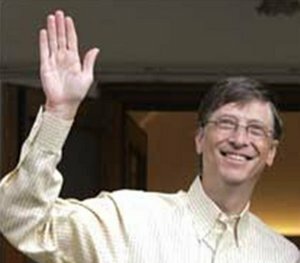 If you look at the size of the ring finger, as opposed to the index finger, you will notice that both fingers on Steve Jobs' hands are of equal length - therefore more balanced - while Bill Gates' ring finger is longer. More than Steve, Bill needs to be the center of attention. The palm lines offer a few insights too. They both have long head lines, which represents their pioneer mind and their capacity to explore unchartered territories. 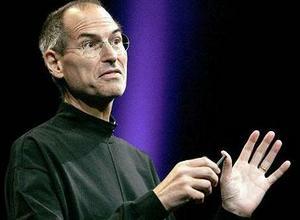 However, Steve Jobs head line start much higher in his hand, close to the index finger. It suggests a wish to lead - and maybe control - others. Steve's heart line is longer that Bill's, indicating that he would express his emotions more openly than Bill. A bit of face reading completes the personality picture of those two business magnates. Their foreheads offer interesting information. In their youth, both Steve's and Bill's foreheads used to be covered with bangs, or an equivalent. The forehead zone represents thoughts and concepts. When it is covered, the person is reluctant to share those innermost thoughts with others. However, as he lost his hair, Steve started to reveal more of himself, while Bill is more secretive, behind his hair. They both have a straight chin. Many CEOs, political and military leaders have this type of chin: it means they are focused on a cause and get the job done, sometimes by using intimidation. As you can see, Steve's and Bill's hands and face have nothing special. Anyone has the talent and the ability to become extremely successful. But the key is action, and they acted. If you want to be the next Steve Jobs or Bill Gates, do something and start acting now!